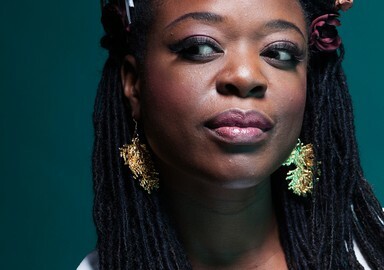 When ESKA’s self-titled debut album was released in April 2015 on Naim Edge Records, the BBC Radio 6Music tastemaker Gilles Peterson proclaimed ESKA “the finest UK singer”, The Guardian dubbed her “enchanting… inventive” and The Independent called her “one of the most idiosyncratic and original talents”. 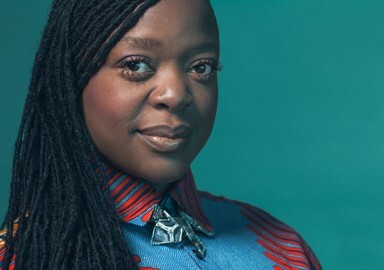 The Zimbabwe-born, London-raised musician and songwriter took five years to make her album - “a mind-bending gem” (The Observer) – but it was worth the wait. 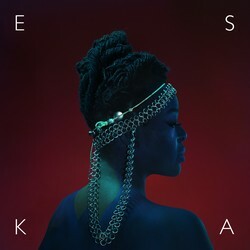 ESKA's eponymous debut was subsequently nominated for the Mercury Music Prize in the UK; one of 12 Albums of the Year by a panel of some of the industry's most respected music critics. A singer whose unique voice has adorned the albums of such original acts as Nitin Sawhney, Zero 7 and Bobby McFerrin, ESKA’s been in high demand in recent years, co-writing with the likes of Sia, Grace Jones and James Lavelle. But her own music is something else; imagine the psyche soul of Minnie Riperton, unexpected, whimsical melodic twists of Kate Bush and ornate detail of folk legends Pentangle arranged in an intoxicating meld, and you’re only getting close. ESKA has been compared to Joni Mitchell, earned plaudits from top music critics, performed exclusively at Rick Owens' Paris Fashion Week controversial catwalk show and had everyone from The Times to hip dance music site Boiler Room in a lather. Having played the likes of Glastonbury and The Southbank in London, ESKA has closed a heady two year debut album journey and is currently writing and recording new material for her follow up album to be released in 2017.